H: Darlin’ – you’re late this morning. Me: The landlady was away so I decided to sleep in. Me: Never mind then, thank you. H: How goes the novel? Me: Half of it I like, the rest not at all. I need to gut chunks of it and start again. I’m just not sure what to put in its place. H: Surely you have some thoughts? Me: No. Well… I need more primary sources if I’m to write about the St Giles rookery. H: Do you have them? Me: I did, but now they’re in the Oast attic. Damn… How was your day? H: Rain kept me indoors again. But the evening was clear and I spent it on the porch. Me: Smoking cigarettes and contemplating the stars? Me: You satisfied with you r writing yet? H: No. I fear the truth of what I mean eludes my pen. Me: I know that feeling. What will you do today? H: Cook for the kits and then take as long a walk as I can muster. (coughing) My legs still feel as shaky as a new-born colt. Me: Exercise will fix them. H: You seen a dentist? Me: There are no appointments available until mid June. H: That’s a long wait for a busted tooth. Me: Yeah… I should let the chittens back in the room and go to find breakfast. 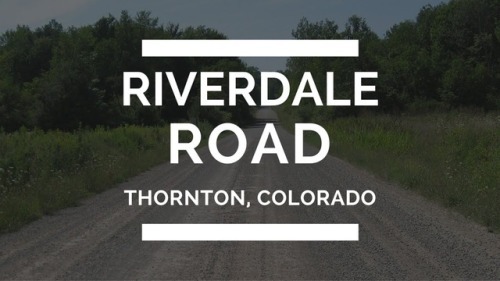 Riverdale Road is a haunted 11 mile stretch of road found in Thornton Colorado. Riverdale Road has so much activity including a lady in white, the ghost of a jogger, spirits who take the form of animals, bloody handprints that appear on street signs made by the ghost of a boy who was hit by a car and killed while on his way to school, and a Native American Burial Ground. Some of the animals that spirits take the form of are a coyote which is a good spirit and a gray fox which is an evil spirit. The Wolpert Mansion also burned down on this road and is now condemned. Unknown Creature Photographed in a Tree? A woman by the name of Sonya says she captured this picture while out testing her first digital camera. 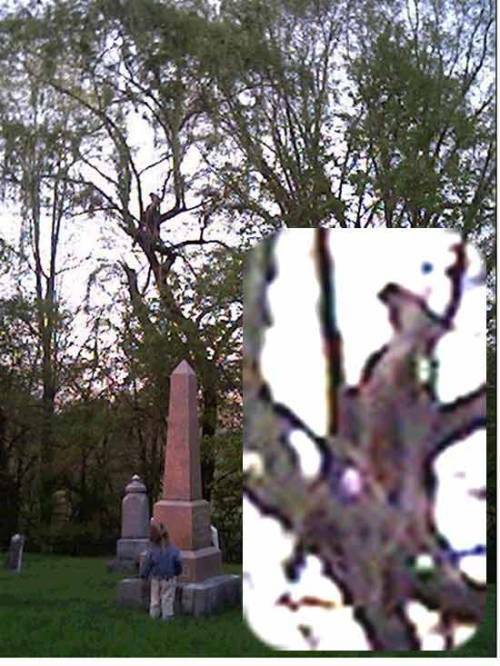 When she got home and began reviewing the pictures she’d taken, she noticed one of them showed an unknown creature with a horse-shaped head sitting high up in a tree. Judging from the picture, it looks like she may have been taking pictures with her child at a cemetery. Though the location of where the picture of taken wasn’t specified, some have speculated that the creature is the legendary Jersey Devil. one of the ghost hunters who made the recording acknowledged. For the full article (and to view the “orbs” for yourself) visit The Detroit Free Press.